This article looks at typical project-planning issues you will need to consider to ensure funding coincides with project timetables (getting ducks in a row), and some standard terms you may need to give attention to in order to permit day-to-day operational activity where possible (potential elephant traps). It also comments briefly on the Financial Conduct Authority’s announcement last July on the planned phasing out of LIBOR by the end of 2021, and what that may mean for existing and future LIBOR-based loan facilities. Most lending to universities will be of a size where banks will use Loan Market Association (LMA) standard terms, and this article assumes the use of such terms, as well as lending by a single lender without syndication options. If an external funding requirement is identified to be able to deliver a capital project, time will be spent at an early stage selecting a preferred bank and negotiating the main commercial terms of the facility – pricing, financial covenants, terms, security, and an outline of conditions precedent. These will usually be set out in some form of heads of terms. HEFCE consent is likely to be required in respect of financial commitment thresholds, and this should be sought in principle at the outset, and then in more detail once agreed heads are available. Typical conditions to consent will include (1) confirmation that final financial terms are no more onerous or restrictive than as set out in the heads of terms, (2) evidence that the university has complied with its governance procedures to approve the loan (dealt with in more detail below). Another relevant aspect will be the consent of prior lenders (which is also likely to be an HEFCE condition), as existing loans are likely to have prohibitions on additional borrowing or granting security (usually referred to as a negative pledge). A key timing issue is the cycle of governor or council meetings for the purpose of approving facility terms in accordance with your constitutional requirements and governance procedures. At VWV, many of our university clients tend to hold three or four scheduled meetings during the year, often with a gap during the summer months. Clearly, it is in the university’s interest to ensure the borrowing is intra vires, and it is also crucial to the lender (and to HEFCE). You should check as early as possible with your preferred lender whether they have any specific wording required for meeting minutes. Lenders, or their solicitors, will usually have a prescribed form of words, dealing with approval, and the delegation of authority to a committee or other designated group who are empowered to agree amendments and execute the final form facility and related security, drawdown requests, and to issue borrower certificates on behalf of the university. Such prescribed wording will, of course, need to be checked by your own lawyers (and any law firm required to provide a legal opinion on vires to the lender), but any changes will need to be agreed before the wording is sent out in your governor meeting packs. This requires careful scheduling. Most loans of any size (£5m and upwards) will now be offered by banks in facility agreements based on Loan Market Association (LMA) standard terms, as amended by any specific terms dictated by a bank’s internal policies, and including its own HE-specific requirements. Banks, understandably, do not want to amend standard wording, but in our experience are generally receptive to suggested changes where these are proposed to ensure restrictions do not catch some ordinary course operational activities. The process of obtaining consents after signing can be time consuming and incur costs of approval, and so appropriate ‘carve outs’ negotiated into the agreement can be a way of avoiding a formal consent process, and the risk of failing to do so and finding you are in breach of contract. In considering the terms of the loan agreement, as well as ensuring it reflects what you have agreed in Indicative Terms, you need to think (1) can we achieve what is being asked of us? (a) for drawdown and (b) on an ongoing basis, for instance in terms of reporting and communication, and (2) are there any restrictions imposed which affect ordinary operating activity where we should seek dispensation for some types of activity, or up to a financial limit? – Will the information and financial information undertakings as drafted require you to present information in a different way to your usual practice, and, if so, can this be adjusted to avoid creating separate reports? – Does the wording of the financial covenants reflect the way you present your accounts? Finally, universities will have read last summer of the announcement by Andrew Bailey, Chief Executive of the Financial Conduct Authority, of plans to transition away from LIBOR to alternative reference rates by the end of 2021. Many universities will have LIBOR-linked loan agreements, some of which will still be utilised after 2021. There are estimated to be some $350trn worth of financial transactions worldwide referenced to LIBOR, so for the sake of an orderly market the transition will no doubt be carefully handled over time, and facility agreement terms amended accordingly, by LMA and others. For sterling LIBOR, the FCA are considering SONIA (Sterling Overnight Index Average – an existing rate administered by the Bank of England) as an alternative to LIBOR. University Finance Directors will no doubt keep this on their radar as the solution emerges, and amendments to existing terms will be necessary at some point. 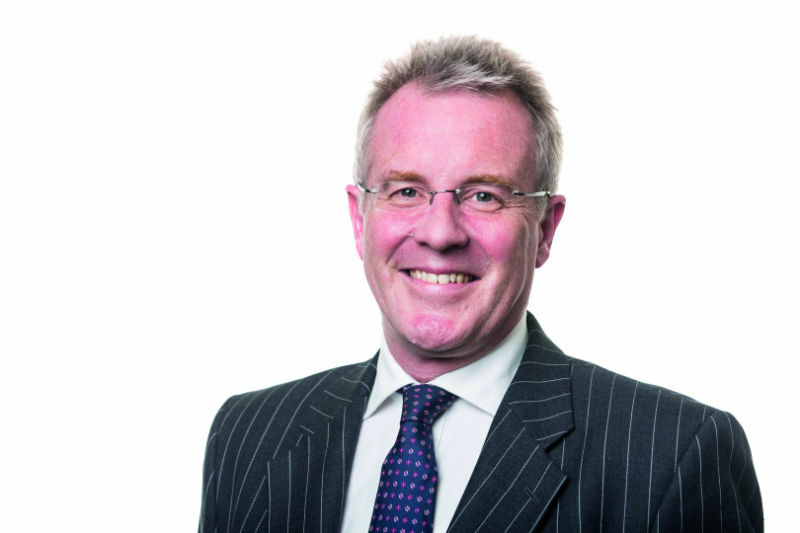 David Emanuel is a partner at leading education law firm VWV. David can be contacted on 020 7665 0848 or at demanuel@vwv.co.uk. To be kept up to date on legal, regulatory and governance issues please register for the VWV dedicated HE portal OnStream: https://www.vwv.co.uk/he-onstream/login. What is the real role of the entrepreneurial university? University life: In loco parentis? The Morrisons decision: new risks for universities?